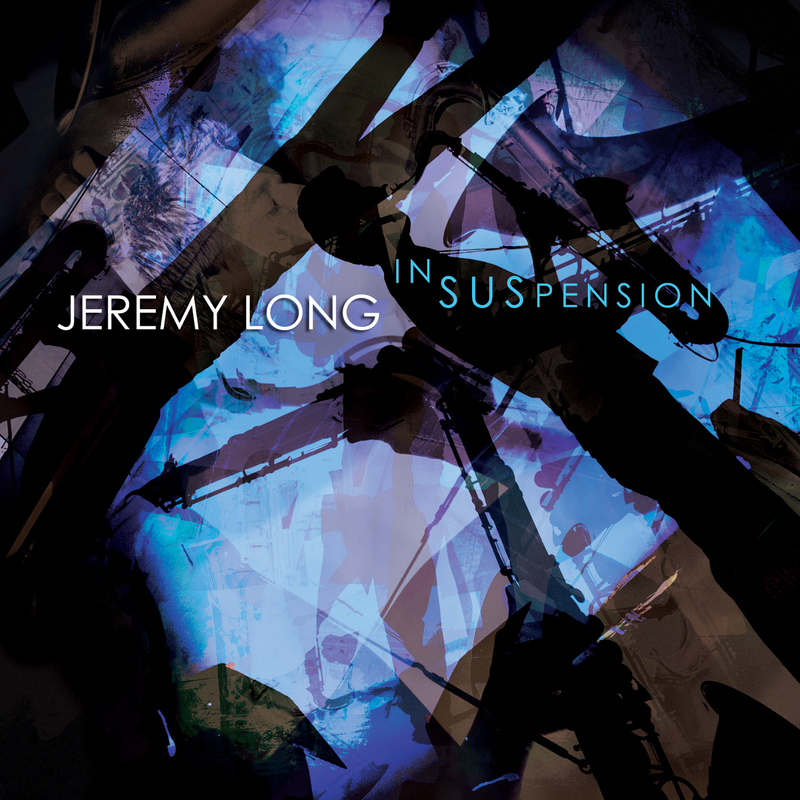 Saxophonist/composer Jeremy Long has an impressive curriculum vitae, as broad as it is deep, straddling the worlds of classical and jazz music and encompassing work with saxophone quartets, Ray Charles, Grammy- and Oscar-winning film composer A.R. Rahman, Chaka Khan, the Cincinnati Orchestra and Opera, and many, many others. He’s also an Assistant Professor of Saxophone at Miami University (Ohio). But all the laurels and credits are, amazingly, outshone by the engaging, soulful music of his innova debut, In Suspension. The organ trio setting is a warm and inviting one, with organist Steve Snyder and drummer Jason Tiemann providing sympathetic backing for Long on six originals and two reimagined standards. Ushered in by the hushed clatter of Tiemann’s rims, opener “In Suspension” builds from a funky bass line that would be at home on any Jimmy Smith record. But the group twists and turns it into something fresh, revealing aspirations beyond simple blues-based organ workouts. They stretch further on the second track, “Shorter Tones,” based off saxophonist Wayne Shorter’s “Children of the Night.” As organist Larry Young did on his Blue Note classic, Unity, Long infuses the genre of organ jazz with a healthy dose of the angularity and extended harmonies of the avant-garde. The result is music that’s both smart and toe-tapping, a record that’s equal parts appealing and subtly challenging.